We help trauma survivors along with their families and friends with a safe place to land through innovative professionally facilitated programs and resources. Trauma Practice for Healthy Communities aims to promote health by providing individuals who are experiencing Psychological Trauma, PTSD, Compassion Fatigue, and related mental health disturbances, with access to information, group therapy and group support programs. Through group programs and public access to self-help resources, Trauma Practice is reaching out to marginalized and/or vulnerable community members who are falling through the cracks of an overburdened system. Our work seeks to advance education by conducting research in our fields of programming and sharing the results. We can do better when we know more. Promoting health through research is a key part of our mandate in creating access and better provision of care for all. 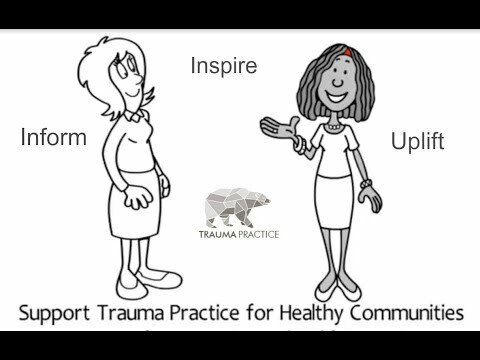 Trauma Practice for Healthy Communities believes that trauma recovery should be accessible to all. Together we can succeed in making it a reality for everyone.